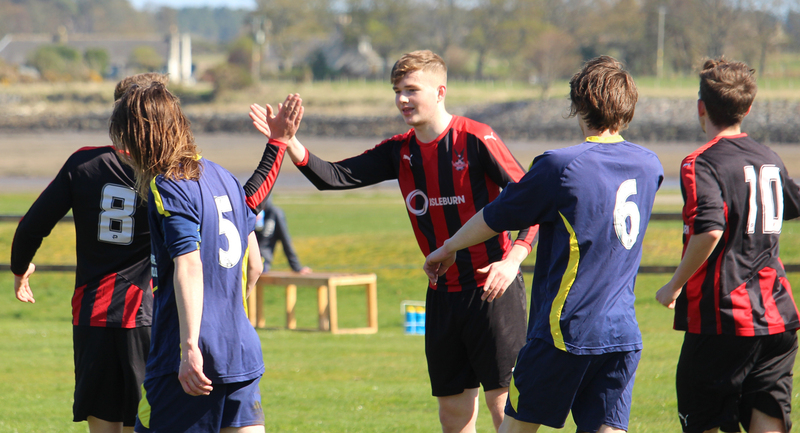 League champions Tain Thistle are competing in the Stafford Cup for the first time this year and they got off to a winning start on Saturday with a 6-0 win against visitors Melvich at the Links Playing Fields. 19 year old winger Finn As-Chainey set the pace on 13 minutes when he slotted the ball past Melvich ‘keeper Brian Mackay after good work from Will Ross. There was hardly time for a comeback before Mackay was beaten again, this time by one of his own defenders, as Kerr Mackay deflected a low drilled cross from As-Chainey into the net. It was 3-0 on 30 minutes with another goal from As-Chainey and the same player had the chance of a hat-trick minutes later, but Mackay was up to the challenge and saved well. Christopher ‘Chippie’ Mailley made it four ten minutes before half time when he collected the ball just outside the box and scored with a low drive which cannoned off the upright and into the net. With the game all but over as a contest by the second half, things went from bad to worse for Melvich when Connor Mackintosh was sent his marching orders. It was left to Thistle striker Liam Rostock to add to the tally for Tain after that, netting with a spot kick after As-Chainey had been brought down in the box. Substitute Gordy Mackay made it 6-0 shortly after being introduced. Receiving the ball from Cammy Mackintosh, Mackay’s initial shot came back off the post but the forward was quick to the rebound and fired home. 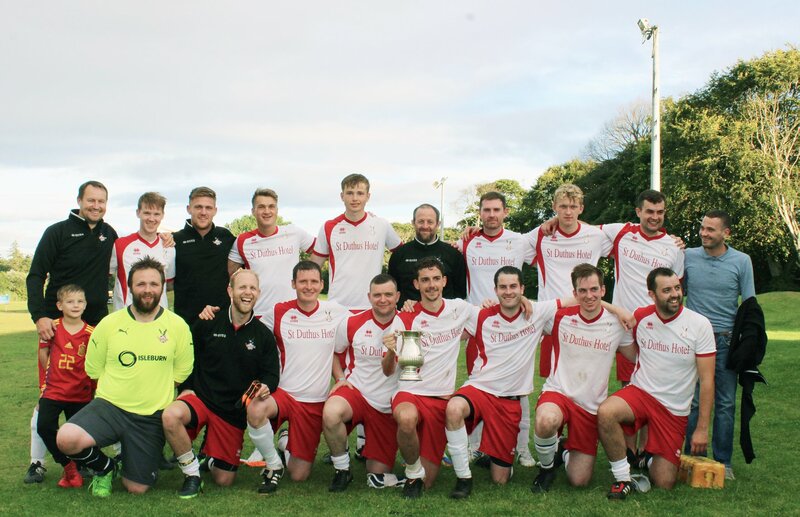 The draw for the 2019 Gow's of Lybster Highland Amateur Cup took place on Saturday 30th March at the National Hotel Dingwall and drawn into the first round of the competition, Tain Thistle will play at home against Caithness amateur side Staxigoe United. The fixture will be Thistle's second crack at the Highland Amateur Cup, having been handed a baptism of fire last year, losing out in the first round to eventual winners Pentland United after extra time. As defending North West Sutherland league champions, Tain will be hopeful of giving a better showing to secure a place in the next round. The first round games are scheduled for Saturday, May 11th. Before their Highland Amateur Cup game, the Jags will begin their season on Saturday, April 13th with a Stafford Cup first round match against Melvich at the Links. 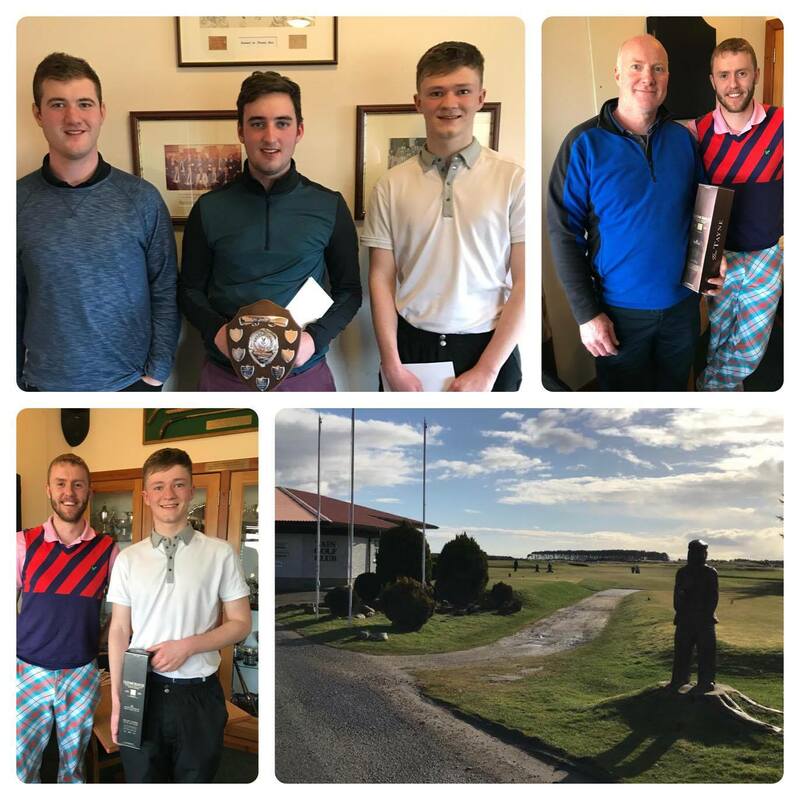 In the most miserable of conditions, we held our sixth annual Texas Scramble at Tain Golf Club today, which raised a substantial amount towards club funds. Our thanks go to the Golf Club itself, Stuart Morrison, Gus Gurney and Richard Green, as well as Willie Rostock who held our raffle. We also wish to thank our prize donors Bannermans Fish Shop, Alan Duff, Stevie Martin, Martin Corbett, Tony Farquhar, Frank Sutherland and Willie who all made the raffle possible. The winners on the day were the team of Paddy Murray, Scott Macdougall, Cameron Macdougall and Malcolm Macdougall. Well done to them! Raymond Lockie claimed the prize for Longest Drive, while Paddy Murray made it a double celebration by collecting the Closest to the Pin prize. Lastly, we must say a big thanks to all teams who competed today to make the Scramble another huge success for us, and a brilliant fundraiser for Tain Thistle AFC as we look forward to the summer ahead. 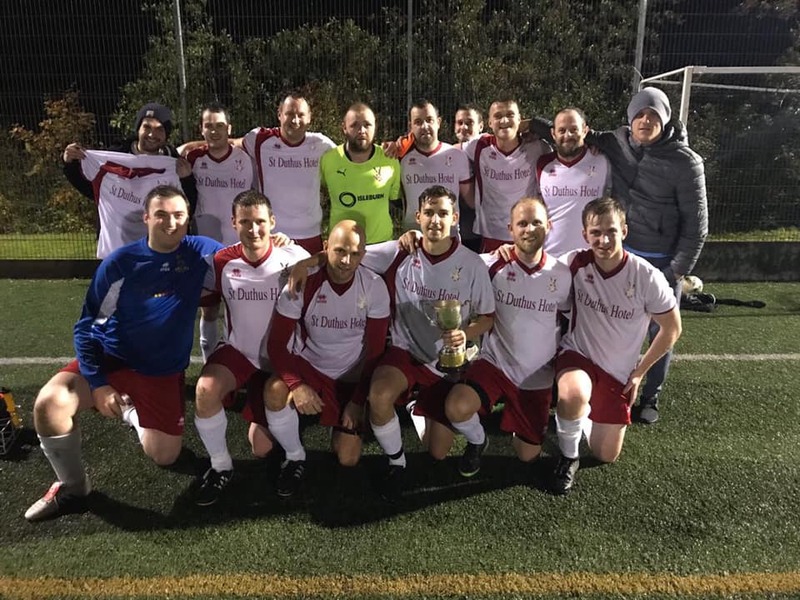 Rounding off their 2018 season, Tain Thistle resoundingly defeated Lairg Rovers at the Highland Football Academy tonight, beating their high scoring rivals 6-1 to capture the Polla Cup for the first time. The Polla Cup is traditionally contested between the two highest scoring teams in the league at the end of the summer season. The goals on the night for the Jags came from Darran Goller (2), Cameron Mackintosh (3) and Chippie Mailley. With today's resounding 8-2 win over Lochinver FC, Tain Thistle AFC have been crowned champions of the North West Sutherland AFA. Delighted to have won every point on the park and to have visited many new grounds during this summer -- and to become the first team in living memory to have won back to back league titles in two different counties! What an achievement. Come on the Jags! Well done to Liam Rostock who finished as our top scorer with 18 goals this season - a great return from the club's all-time marksman - and congratulations also to Martyn Farquhar who made his 200th appearance for Thistle today - what a game to do it in. Thank you to the NWSAFA for welcoming our club into contention, it has been an enjoyable and well fought league campaign - we look forward to many more seasons ahead, although we've still got the Polla Cup to play for! Finally, our biggest vote of thanks must go to our gaffer Tony Farquhar who works tirelessly to make everything happen with the Jags these days. We can't thank him enough for the time and energy he puts into it all. I'm sure winning titles like today makes it all worth it!